Of course this object could be space junk but it is suspicious that NASA removed the link (at least for a considerable amount of time). For now this remains very much an unidentified flying object. I have not seen this before and did a thorough check on Google using the full link. Apologies if this has been posted before by someone else. Looks like this link has been removed already....... Link seems to have been fixed, I mean isn't that all a wee bit suspicious? 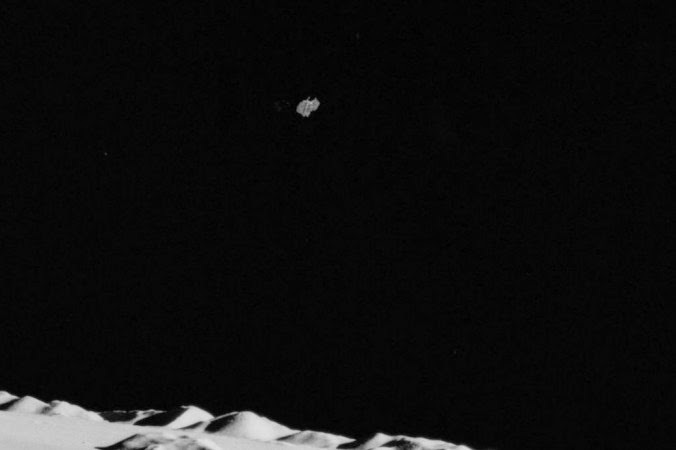 People have been claiming to have spotted UFOs or alien objects in NASA photos of the moon for decades. “In early October, Crow Tripplehorn — a frequent moon observer who shoots high definition videos through an 8-inch telescope — captured intriguing footage of a seemingly unusual object flying above the lunar surface,” the blogger said. “I see nothing to indicate that the object was computer generated. Having said that, the video also lacks anything that would have me believe the object is something other than a conventional satellite,” said ex-FBI Special Agent Ben Hansen of the recent finding.